If you continue to surf our website without changing your browser setting, we'll assume that you are accepting our cookies policy from Itimaar. I am very happy to go Umra through you, you made my trip outstanding and perfect hotels I stay in was same as promised , they were clean with helpful staff, Transport guy he gave his service too at its best , rest inshallah next time hajj with you guys and will recommended you to all my family and friends. I prayed for you with all my heart with your name and gave your salam to NABI ( SAW) OF YOURS. May Allah give you barakaah in your work and in your akhirat. 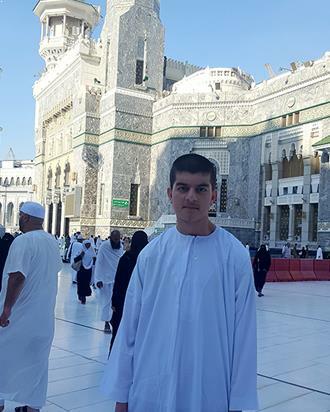 I am very happy to go Umra through you, you made my trip outstanding and perfect hotels I stay in was same as promised they were clean with helpful staff, Transport guy he gave his service too at its best , rest inshallah next time hajj with you guys and will recommended you to all my family and friends. Yes inshallaha I will recommend your services to my family friends inshallaha. It was the most beautiful journey of my life and your services make it easy for me and my family and I kept remember you in my all prayers. Thank you Umar for your excellent service. Booked a family UMRAH 3* package with Itimaar and Alhamdulillah I had a very pleasant experience with them. I was very anxious after reading all the bad and horrific comments posted by other customers who used Itimaar for their UMRAH. But, Alhamdulillah my UMRAH was hassle-free through out... The agent who took care of my UMRAH itinerary was Br. SALMAN who took all the efforts to make sure all the transfers for us from Jeddah Airport to Makkah Hotel and Makkah Hotel to Madina and Madina Hotel to Jeddah Airport are in place. The hotel we were given in Makkah is Hotel AL-KISWAH Towers which is a 4* Hotel and the rooms were brilliant. Though its a bit far from HARAM SHARIFF (about 850m - 15 minutes walk from the room), the Hotel provides 24 Hour round the clock shuttle service to HARAM SHARIFF and vice-versa which made our life easier as we travelled with elderly and kids and infant. We were slightly disappointed with the Hotel we have been provided in Madina which is ISRAQ AL BUSTAN which is a 3 Hotel as per the Travels but its a 2 Hotel and not really been looked after. The carpets in the rooms were smelly, A/c was not working properly, Beds and Linens were not cleaned properly. We complained about this to the Hotel Receptionist but they did not do anything about it as most of the management workers are from Bangladesh and unless you are from Bangladesh, you wont get any help from them. So better to avoid this hotel for your Madina Stay. One good thing about this Hotel is its very near to the Masjidun Nabawi. The closest gate is 8 which would take 5-7minutes walk from this Hotel. As we were there for doing Ibaada' we did not really make a fuss about it. 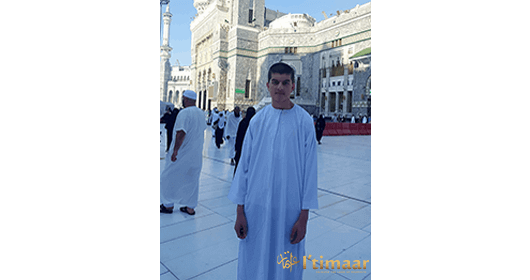 Overall, the UMRAH experience was satisfactory with Itimaar and I would recommend them to my family and friends. Jazakallahu Khairan. Wassalam....!!! Being ABTA, IATA, ATOL and SAFI certified, we ensure your financial security and timely delivery of what we promise. At the convenience of a few clicks, you are listed pocket-friendly prices compared to other big brands. Plan your Holy Expedition with us and rest assured for a most satisfying and exhilarating experience to your desired destination. Independent Service Rating based on 0 verified reviews. With years of experience in compiling holy tours in and around Makkah and Madinah, one will find the most competitive range of Hajj & Umrah packages and all your travel solutions for your sacred journey of a lifetime. 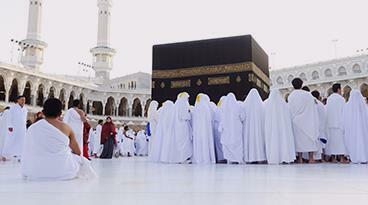 Your pious journey to perform Hajj or Umrah begins at the holy city of Makkah. Every year a large number of Hajj/Umrah pilgrims look forward to a travel partner who would plan their tour and arrange for a convenient and hassle-free travel to pay homage to the Abode of Allah. Our travel experts in the UK offer all-inclusive and customized packages as per the needs and requirements of solo and group travellers. I’timaar, being a trusted brand for over 31 years in the UK, commits to providing an exceptional and enriching experience for this spiritual enchantment. Book your Islamic tours with us for complete and comprehensive Umrah/Hajj packages, reliable and responsive tour assistance, flight and hotel deals for Hajj, Umrah and religious tours in and around the holy cities, and cost-effective travel products. Here at I’timaar, we have invested time and energy in creating a structure of associations and alliance to undertake all your travel needs and offer cheap Hajj and Umrah tours to suit the needs of the pilgrims visiting Saudi Arabia for Umrah and Hajj 2019. Contact our Hajj and Umrah travel agents to assist you on your journey and rest assured for a rewarding and befitting travel experience. I’timaar provides Hajj and Umrah services to Muslim brothers and sisters in the United Kingdom at the lowest possible rates. With an extensive experience and thousands of satisfied customers, we facilitate your pilgrimage with flight reservations along with complete Hajj and Umrah services. Our travel experts will inform you about all connecting and direct flights from London Heathrow airport to Jeddah. One can also board flights from Manchester, Birmingham and Gatwick airports. We are committed to making your pilgrimage comfortable and memorable by providing the direct airlines and top accommodation in Makkah along with the transportation facility at the cheapest price. I’timaar is linked with all the popular hotels for accommodation which is why we can reserve any hotel of your demand for you on your visit to Makkah and Madinah. Travelling for Hajj and Umrah for the first time could be a little overwhelming and pilgrims may face many problems. 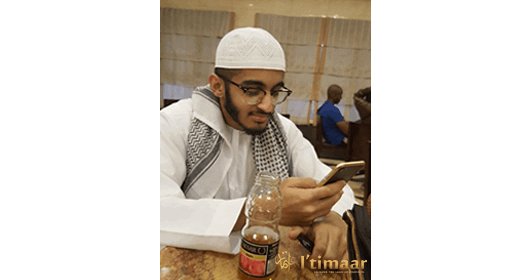 I’timaar is an experienced and reliable travel agent for Hajj and Umrah which can guide you at each step of performing pilgrimage and assist you in the filing of documents for Hajj or Umrah. Pilgrims can choose between shifting and non-shifting Hajj packages, both of which are available at I’timaar. Keeping the focus on low-budget travellers, we have designed a vast range of packages that suit your requirement and budget. Our services include 3-Star, 4-Star and 5-Star Hajj & Umrah packages. With a huge experience in organising Islamic tours, we feel proud to serve thousands of pilgrims and by the grace of Allah (SWT), we have been successful in creating a 100% satisfied customer base. I’timaar continuously aims to provide the best Hajj and Umrah tour from the United Kingdom and our goal is to satisfy all the needs and requirements of the pilgrims who decide to take our services, making their sacred tour most memorable and special in the best possible way. 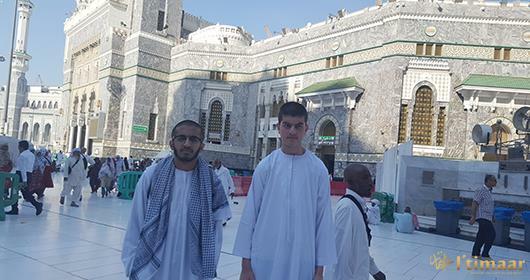 One of the best Umrah tour operators in London, I’timaar has an outstanding reputation for customer service because we value our customers, which is why before booking the package, we offer a personal evaluation along with expert suggestions. Our motivated and highly experienced Hajj and Umrah Travel agents are committed to providing a reliable and efficient service, ensuring the successful completion of every Hajj & Umrah trip we plan for our customers. I’timaar is a registered Hajj & Umrah company and member of ATOL.  So, our first-time customers can book their packages with confidence as we follow all the procedures to make your Hajj or Umrah trip secure and reliable. Our experience in the field of Hajj & Umrah travel allows us to offer the best tailored made packages. We are pleased to offer a number of departure points from the UK for Hajj and Umrah tour. 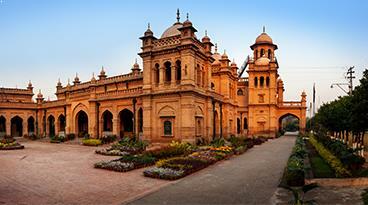 We understand your need to make this holy trip hassle-free and peaceful which you can cherish for the lifetime. We have customized all our packages to ensure that all your personal needs, such as business or economy flights, accommodation nearest to Masjid Al Haram and Prophet’s Mosque or private air-conditioned transportation, must be fulfilled at lowest prices and within the limited budget. While Hajj remains obligatory for every Muslim man and women who are physically and financially fit, and can afford to travel and fulfil all the rituals, Umrah is not obligatory but brings numerous virtues according to the Holy Quran. 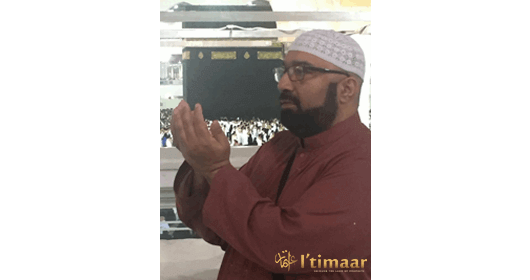 I’timaar has launched a wide range of Hajj and Umrah packages to allow Muslims of UK get cheap flights to Mecca and find reliable and low-cost accommodation, transportation in Saudi Arabia, return tickets and a host of other services. We also ensure that you get the right guidance on performing Hajj and Umrah in the best possible manner from reliable religious scholars and include tips and tricks of undertaking the pilgrimage as well as the stay in Makkah. 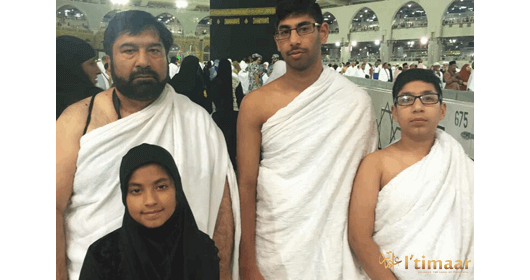 Our Hajj and Umrah packages are carefully crafted keeping in mind the kind of package our customer requires including small groups, large ones, Umrah with family and little kids, elderly people and all the other aspects of travelling for pilgrimage. Our travel experts are aware of the weather and other travel conditions and can give excellent insight into what should be packed for the journey. They will also help you with all the other matters related to the pilgrimage and travelling to Saudi Arabia. We had the opportunity of serving hundreds of pilgrims in the year 2018 and we have been successful in achieving 100% happy and satisfied customers. If you want to spend your Christmas vacations at the Holy mosques of Mecca and Madinah, you can check out our December 2019 Umrah packages. Our packages are designed keeping in mind the budget of the customers and by offering the lowest possible price we make sure they do not over splurge. With our exciting new Umrah packages for 2019, you have a chance to visit Baitullah within your limited budget. Enjoy special discounts on advance bookings. 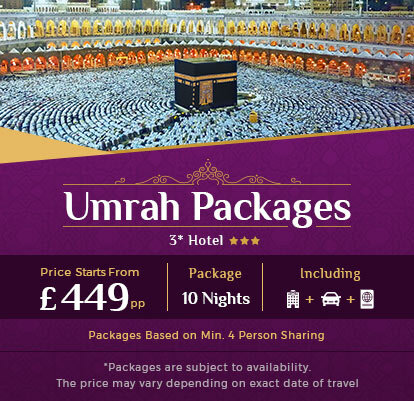 So hurry up and book one of our packages such as Easter Umrah packages 2019, Umrah packages for February 2019, Ramadan Umrah deals and so on. You can select one of these packages and customize it according to your requirements. If you wish to find out more about our Hajj and Umrah packages from the UK, call us now on the given number and we will be delighted to assist you further. We provide exclusive Hajj 2019 packages, both luxury and economy, at the lowest possible price. Hajj for the year 2019 is scheduled in the month of August and bookings would start from Jan/Feb onwards. So if you wish to perform Hajj in 2019, it is recommended to book your package in advance. Browse through all our Hajj packages to find the most suitable one. You can also customize your Hajj package by talking to our travel experts. 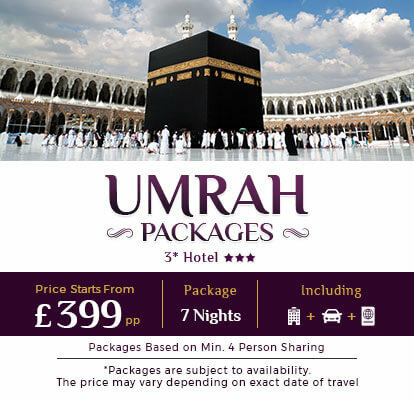 I’timaar offers cheap Umrah and Hajj packages for UK citizens living in Manchester, London or Birmingham. Regardless of where you stay in the country, we provide low-cost flights to Jeddah from all the major airports. With a focus on the needs and preferences of pilgrims, we are able to take care of their specific requirements along with the affordability of our Hajj & Umrah tour services. Trust our experts to arrange the best 5-Star / 4-Star / 3-Star accommodation, international airline tickets, local transport and visa processing for your convenience. An Umrah to another Umrah will be redemption of sins for whatever (minor) occurs between them. Follow up the Hajj and Umrah, because they certainly remove poverty and sins as fire separates the impurities from iron, gold and silver. Two actions are considered to be the most virtuous of actions, unless if someone performs them in the same way. 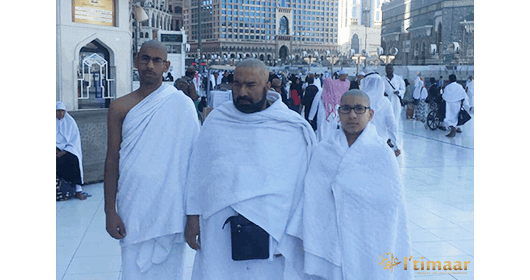 They are an accepted Hajj and an accepted Umrah. Whoever leaves his home only for the purpose of Hajj or Umrah and he dies, nothing will be presented to him nor will he have any accountability on the day of Reckoning and it will be said to him, enter into Jannah. Whosoever has sufficient means to perform Hajj and does not do so, or has enough wealth making Zakah obligatory on him, and he does not give it, he shall surely, at the time of death, beg to be sent back to the world. And proclaim that the people shall observe Hajj pilgrimage. They will come to you walking or riding on various exhausted (means of transportation). They will come from the farthest locations. And perform properly (i.e. all the ceremonies according to the ways of Prophet Muhammad (PBUH), the Hajj and Umrah (i.e. the pilgrimage to Makkah) for Allah.